What a find. I still love pouring through old mini catalogs. 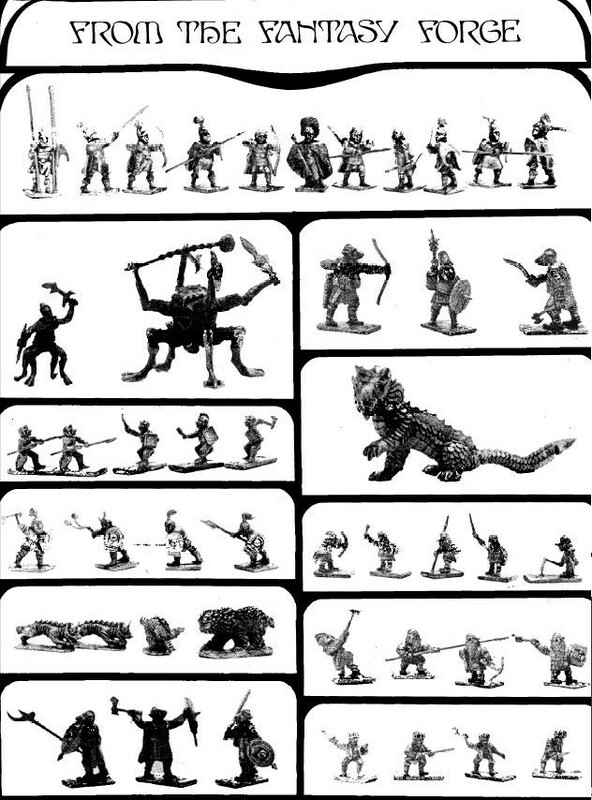 Of course the most interesting ones to me are almost always the most delicate therefore rarest miniatures. The base is from the Old Guard Hlaka, and is either for the standing version or the flying version - you put a wire in the middle hole in the base for the flying version. 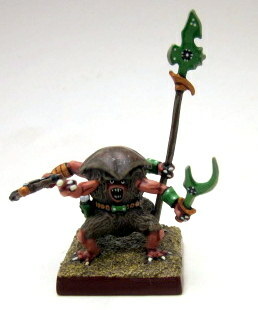 Partha did second version of the Hlaka with better fur, and an attached base. The Old Guard Ahoggya are as you have built them; one shield arm, three weapon arms, the latter all different. My armored Ahoggya, back when I was doing the line, followed the same pattern but allowed for any possible combination of arms for flexibility. The little armoured body is the one in the photos, and was done at the end of my time at the casting machine. The new Ahoggya are very nice, and the cast-on legs make the much easier to build!!! Do you want photos of all the variants? There is one from Old Guard, three from Tekumel Journal, and now two from The Tekumel Project. Pics would be great thanks! Could you send them to the deartonyblair@virginmedia.com email as it forwards them direct to me. 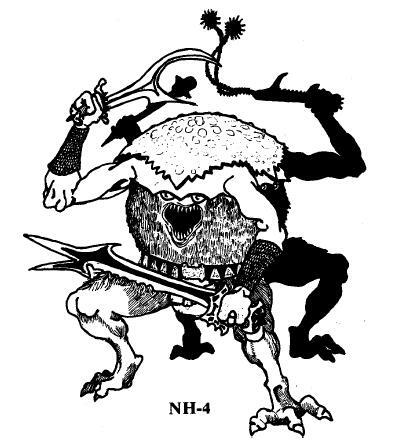 I've never seen the Hlaka figure either! So many figures to find! Right, then - pics will be shot for you. Someday I will have to storm my storage unit, and collect the hidden collection I have amassed. 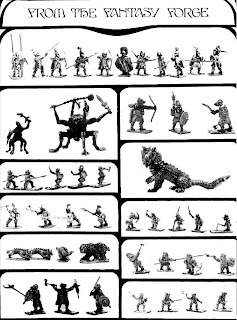 Mainly Minifigs VFW, Minot Thane ,Pendragon,Dragontooth and anything evil, strange or rare I have gotten my mitts on over the years. I was good friends with Jamey who also lived in San Francisco, ( passed several years back, R.I.P. ), some may remember his site, The Digital Dragon? I would like to think so. He got me back into collecting after years of thinking they must be all but lost from the world. I love what your doing here Dave. I own a City of Magic Set with the box, I am hazarding a geuss they changed to cheaper packageing later and dropped the nice boxes. Great posts and comments. Anxious to see more minis unearthed. I was in contact with Jamey quite regularly up until his untimely passing. Great guy and a great website.